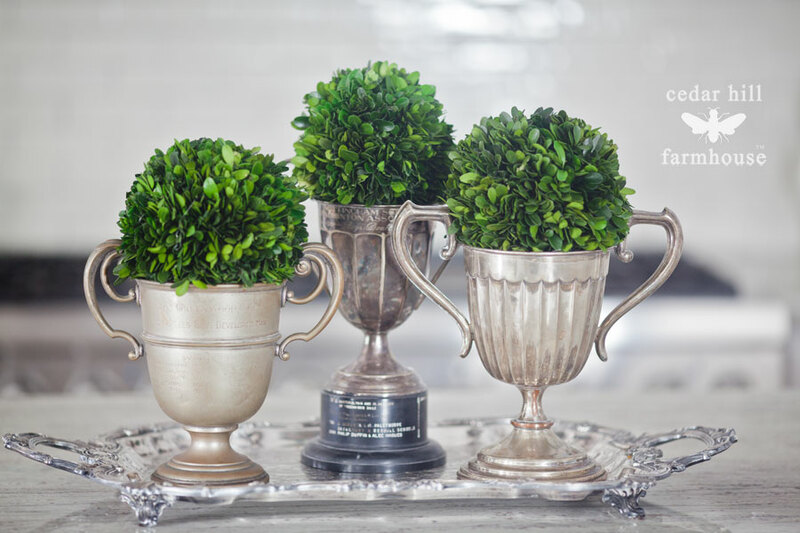 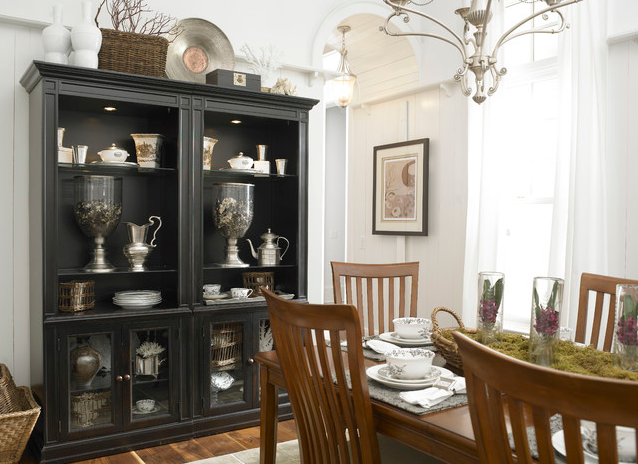 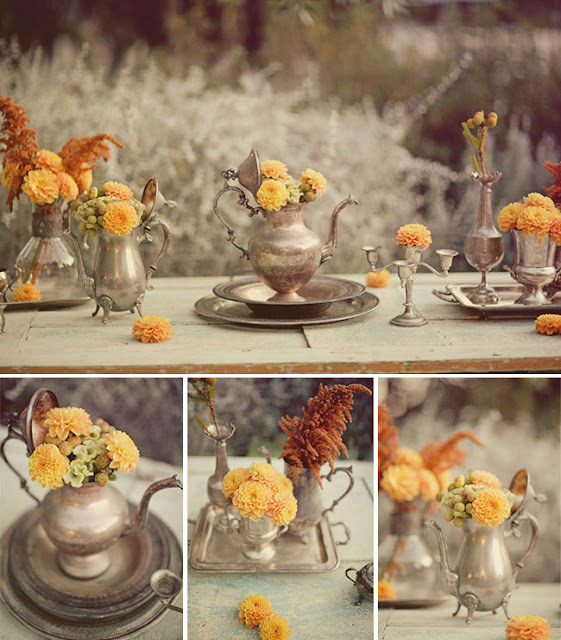 ....this metallic trend we're loving at the moment: decorating with trophies! 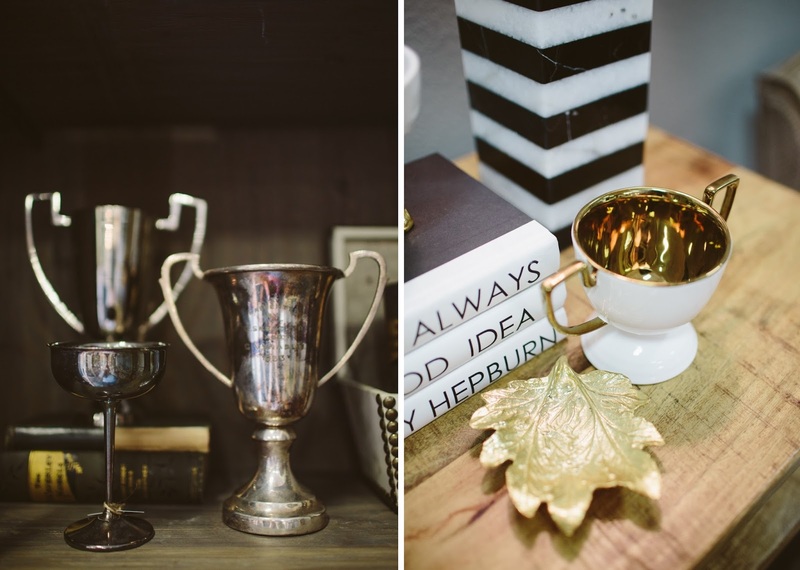 Scoop up these vintage silver cups (above, at left) at FOUND by domestic bliss now, or get into this winning trend by scoring some trophy-inspired decor like this sweet double-handled gold cup (above, at right). 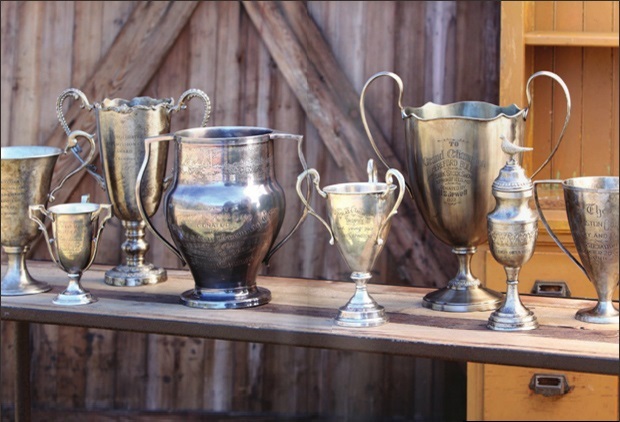 Nothing gives you a bit of a championship buzz like walking into a room and seeing a trophy--or two, or three, or five!--displayed proudly on a shelf. 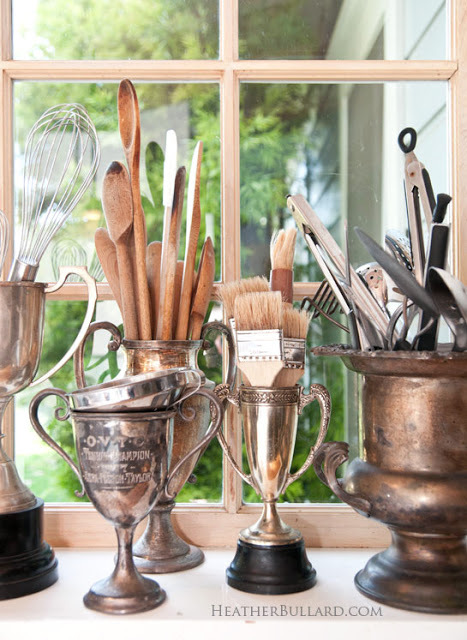 Use them as bookends, floral vases, kitchen utensil holders, a catchall for office odds & ends like paper clips or pencils, or even an elegant container for small soaps. 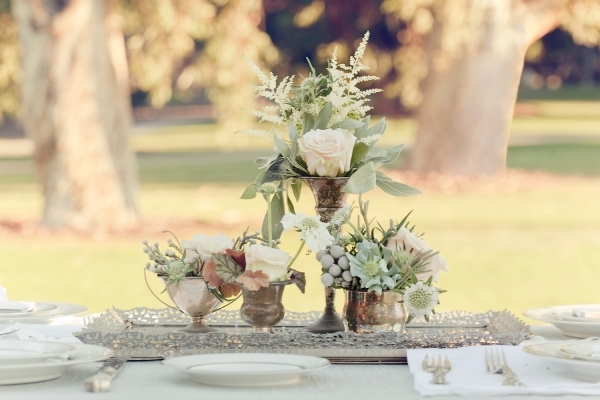 Don't be afraid to mix your metals here, because whether you take home the gold, silver, bronze, copper or platinum......this look always wins major points for style!